Convenient hours, affordable visits, quality access, short wait times – there are many reasons why urgent care centers are popular with patients. But while urgent care is appropriate in a lot of situations, specifically injuries and illnesses that need immediate care but are not life- or limb-threatening, it’s not always the best option. 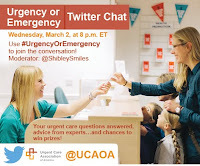 To educate patients about the differences between urgent care and emergency care, LCWA and our client the Urgent Care Association of America (UCAOA) have launched an “Urgency or Emergency” campaign. In addition to conducting aggressive media outreach and creating a visual infographic with compelling stats, we are helping UCAOA spread the word through its social media channels and member communications vehicles. 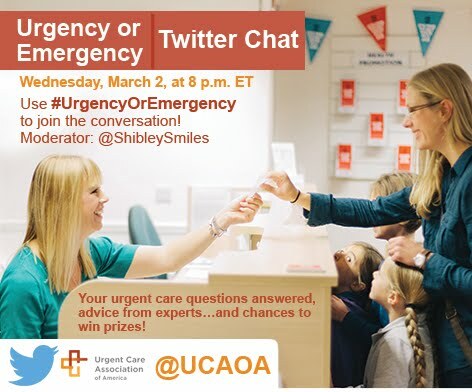 An #UrgencyorEmergency Twitter chat held on March 2nd allowed UCAOA to engage even further with patients and provide an opportunity for participants to learn about the topic directly from UCAOA’s urgent care experts. Patients were eager to learn about the relatively recent growth of freestanding emergency rooms, which look like urgent care centers but charge emergency room prices. For even more info, follow UCAOA on Facebook and Twitter (@UCAOA).